Do you live where it snows? We get some snow, but not necessarily every year. 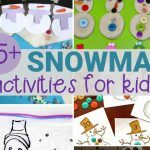 Our kids are usually familiar with it though, and are most definitely familiar with the cold of winter! 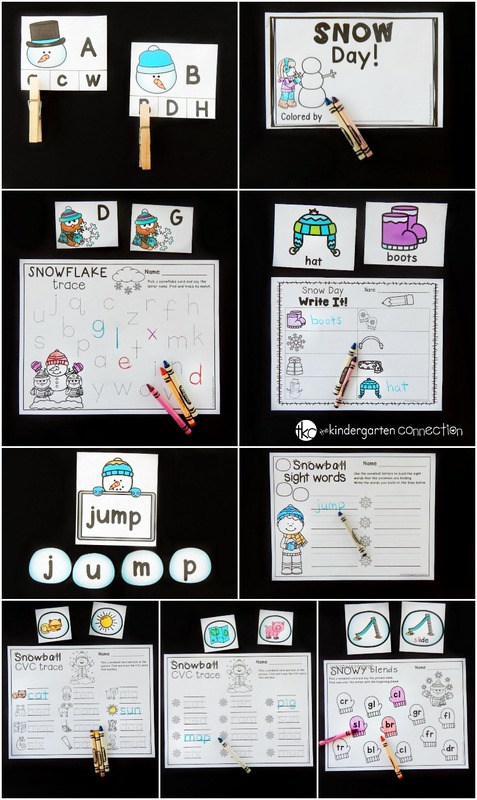 Even if you don’t live where it snows, it can certainly be fun to pretend! 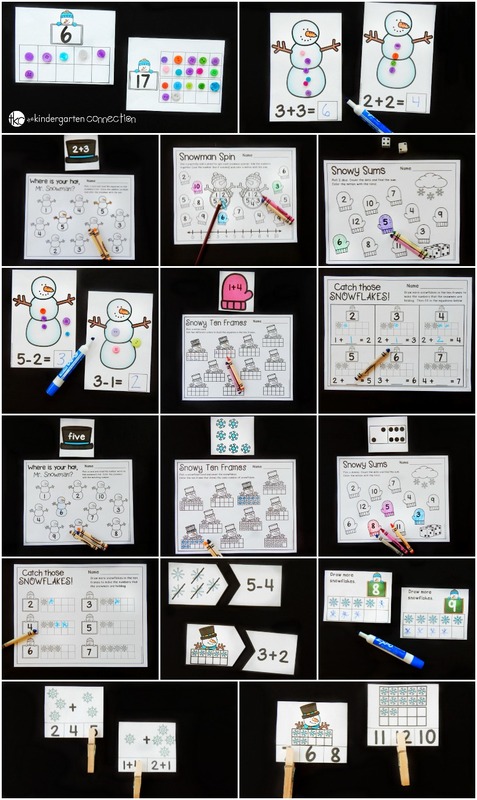 Snowflakes, snowmen, snowballs, mittens, hats, gloves – all of these go together for a snowy good time of fun, and are just some of the themes in our Math and Literacy Snow Centers. 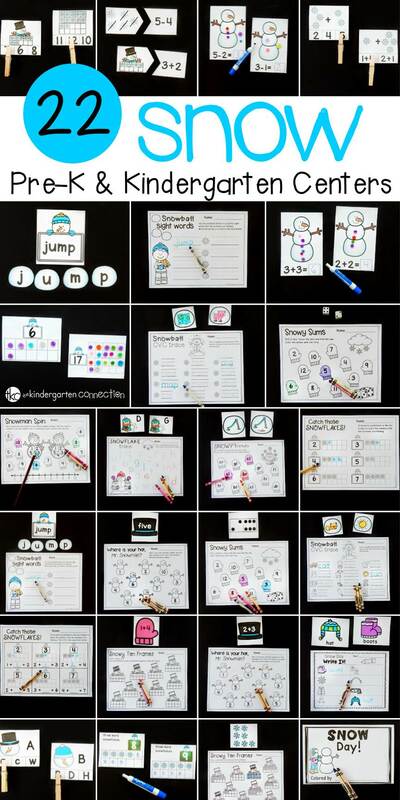 These centers are a fun, easy-prep way for kids to play and learn skills like letters, cvc words, blends, sight words, counting, addition, subtraction, and “snow” much more! 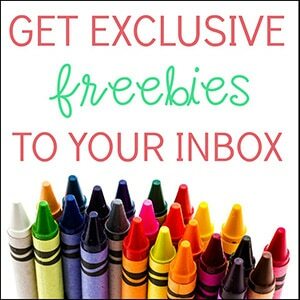 Grab them in our Teachers Pay Teachers store, or snag the HUGE Centers for the Year Bundle and Save BIG! 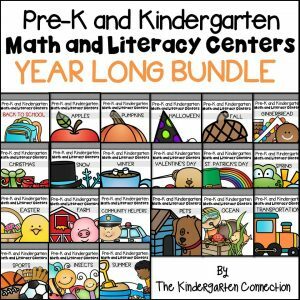 Having my math and literacy centers ready to go every month is a true sanity saver. 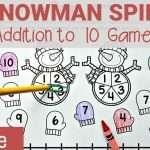 I know what is coming up next, can prep ahead, and my kids always love the style and variety of the print and play games in the centers, so I know they will have fun with them, too! 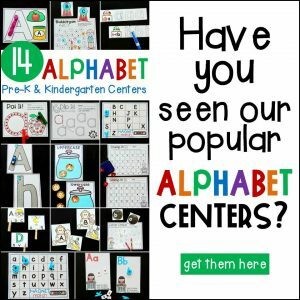 Plus, since these centers are for both Pre-K and Kindergarten, it means there are differentiation options as well! All of the colored centers also come in black and white, giving you the option save ink. 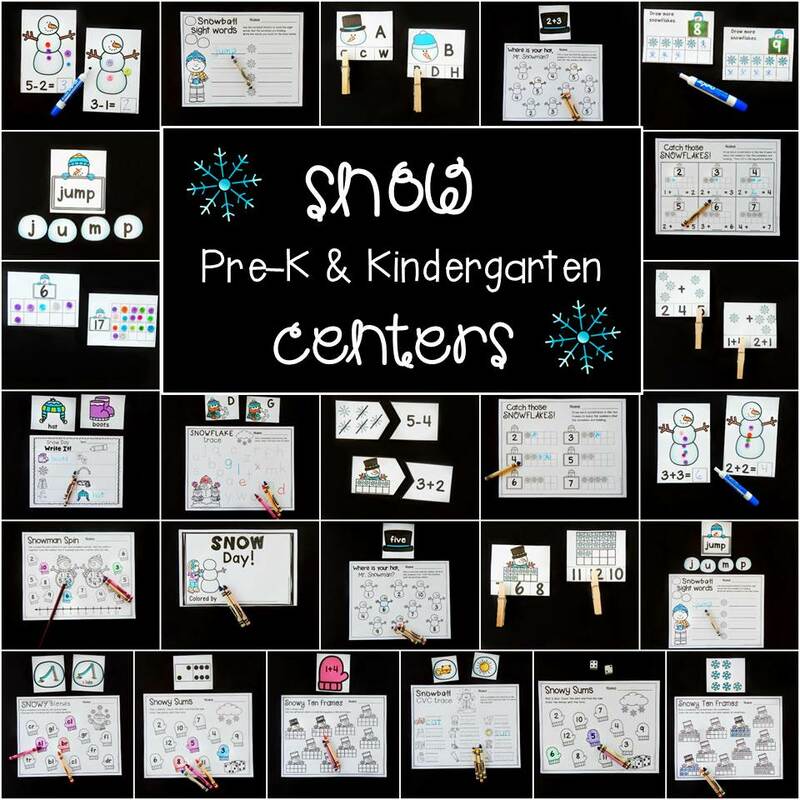 Ready to “play in the snow?” Grab your copy of the math and literacy snow centers in our Teachers Pay Teachers store, and have your fun learning activities planned and ready to go to for you! Thank you for sharing. 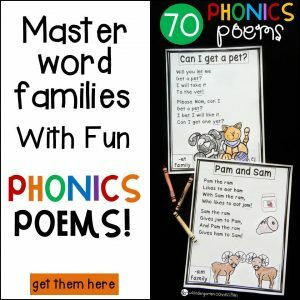 I can’t wait to try this in my small groups. That’s wonderful to hear, Beverly! Have fun!